Chance The Rapper On Mixtapes, Politics And Priorities : The Record Hip-hop's unsigned overachiever speaks with Stretch and Bobbito about SoundCloud, how parenting has changed his music and his million-dollar donation to Chicago Public Schools. 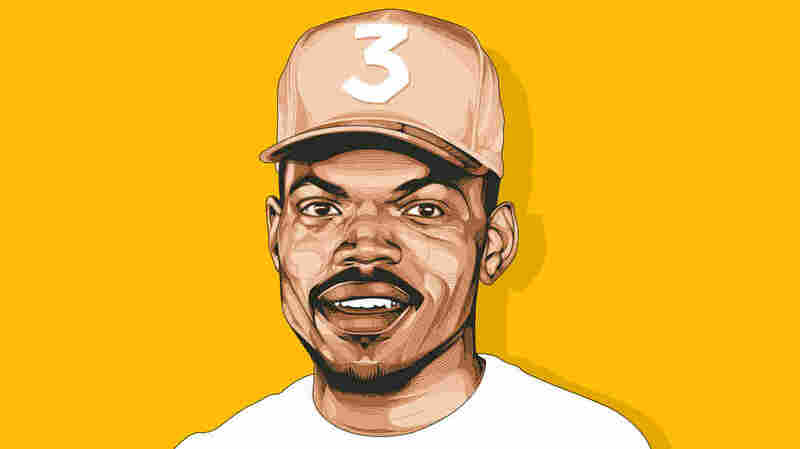 Chance The Rapper's streaming-only album Coloring Book won him three Grammys this year. At 24, Chance The Rapper has already had a career many artists could only dream of. In 2015, he became the first unsigned artist to perform on Saturday Night Live. This year, he won three Grammys for Best New Artist, Best Rap Performance and Best Rap Album. When he spoke to Stretch and Bobbito — who in the '90s invited then-unsigned or little-known artists like Nas, Wu-Tang, Biggie, JAY Z and Big L to rap on their college radio show — they asked him to help them dig into the contemporary hip-hop scene. Subscribe to What's Good with Stretch & Bobbito. 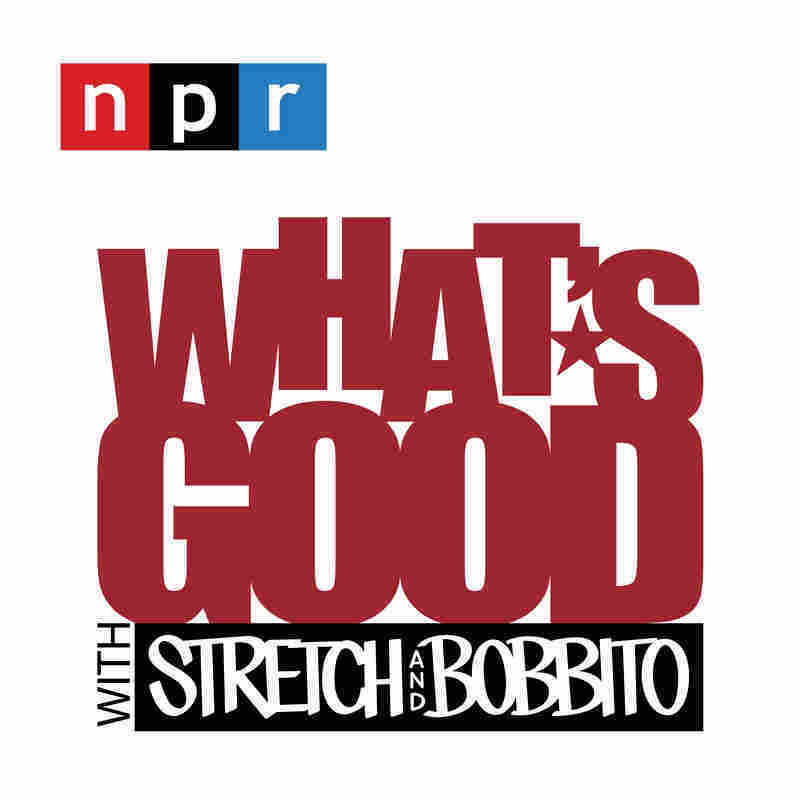 On this episode of What's Good with Stretch & Bobbito, Chance talks about career, priorities, politics, and his recent million-dollar donation to the Chicago public-school system he attended as a kid. Mixtapes have always been a guerrilla-style means of moving music. When I dropped 10 Day, my first mixtape under the name Chance the Rapper, I put it out for free so that everybody could get it. It was only on SoundCloud, because SoundCloud was the only place I could post music and not have to pay subscription, and also it worked everywhere worldwide. It was accessible, and that became my M.O. : trying to make sure that the streets could get it, that young white suburban teens could get it— that the geriatrics could get it, too. I guess it's just because I'm famous that I'm an ambassador for black boy joy. I don't have to carry myself as anybody that I'm not, and people picked up on it. There is a multitude of experiences that make up the black experience. I think there's always been a kind of quiet conversation that if you're not if you're not hard, if you're not from an impoverished neighborhood, if you're not certain constructs of a black stereotype, then you're not black. But now a lot of black people have a lot more pride in being who they are, and understand that that is a part of the black experience. I did a tour and made a lot of money the first year off Acid Rap. And so I was like, let me get this crazy crib, let me move to L.A., let me record every day, let me be on the beach every day. ... Towards the end I realized that I had a bad Xanax addiction and that I was only really coming back to Chicago for weddings funerals. And I was like, "I don't want to be somebody that you see at the funeral or at the wedding and talk to for five minutes." I wanted to be present. So my dad came out and we packed up all my stuff, and in two days I was back in Chicago. There are all types of city and state services that are dwindling or on the cusp of being cut ... so I decided to try to meet with the people that actually decide and allot the funds, and have direct access to the funds through bills and through their elected power. And through all the channels I was going through I just kept getting the same answers — so I said f*** it, I'll donate the money and see how the people respond and how the media responds, and see if anything gets fast-tracked. And while it hasn't been exactly how I want it to, there has been a little been a little bit of a political shakeup, and it is a conversation. And in 2018, you know, we're gonna pick the people who pick the laws again. I think it's not just on artists or philanthropists to make the change; it is everybody's job to make it a conversation. I know y'all pay taxes, and I definitely pay my taxes because I know they waiting for me to slip, you know what I'm saying? Some of that money could be just [for] making education fair. I definitely try and be more deliberate: Everything I say has more intent, and I'm rapping as if I know she's going to listen to it. I've come to understand that art is awesome and beautiful because it's a reflection of life — but it's just a reflection, and the real thing is my daughter. I'm more conscious of my time and what's most important now. Web intern Jenna Li contributed to this story.